The release of Jurassic World: Fallen Kingdom is now three months away, and while we’ve gotten a teaser and full trailer, there’s still no official word on how much Jeff Goldblum we can expect to see, or if he’ll be back to close out the new trilogy in Jurassic World 3. Andy Cohen recently tried to drill Goldblum for info on Watch What Happens Live!, but the Thor: Ragnarok actor just gave a noncommittal response in his usual charming, stammering manner. 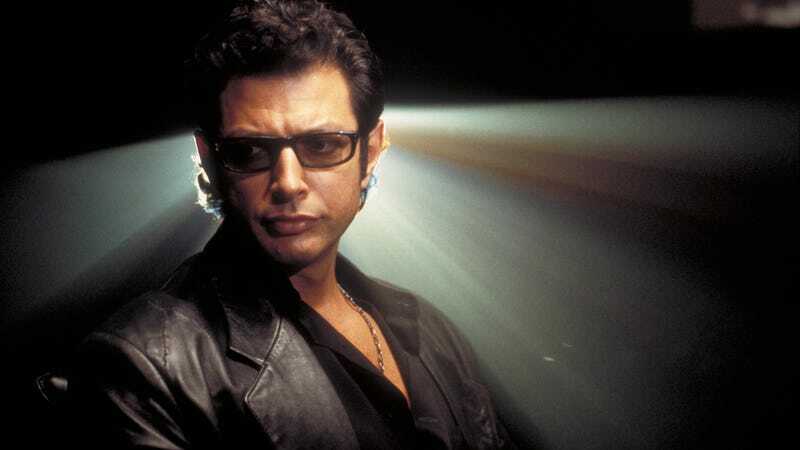 Goldblum is set to return once more as Dr. Ian Malcolm in the J.A. Bayona-directed sequel, but when asked if he’ll be a part of Jurassic World 3, the actor shrugged: “I can’t divulge anything, but maybe...maybe.” He remained just as evasive about Laura Dern’s appearance: “Maybe she will.” Goldblum followed up that non-declaration with this equivocal statement: “There’s gonna be another one that some people may or may not be in. That’s all I can say.” Truly, he can, ah, remain discreet. There’s plenty of time for Goldblum and Dern’s participation to confirmed or just teased further, as Jurassic World 3 is scheduled for release in 2021. No one’s attached to direct yet, but Colin Trevorrow, who directed Jurassic World and co-wrote Fallen Kingdom, is teaming up with Pacific Rim: Uprising scribe Emily Carmichael on the script.